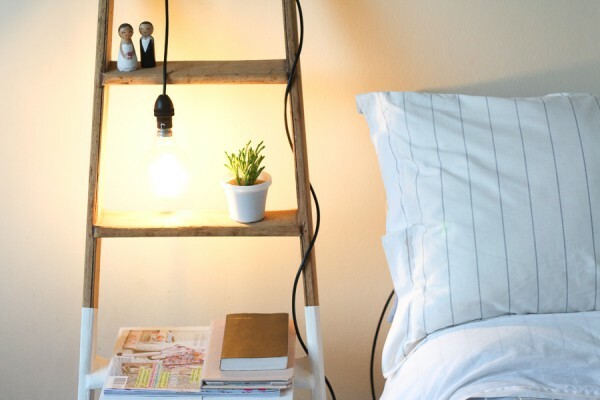 There are a few things that we just haven’t got around to getting for our home. 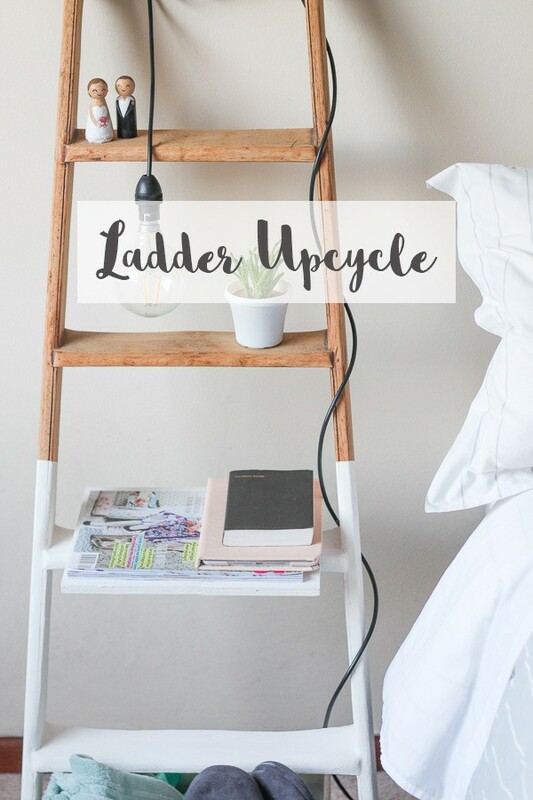 You all know I love a good DIY (being a DIY blogger and all), but sometimes it’s nice to start with an old item and do it up into a gorgeous home decor piece, rather than starting it from scratch. 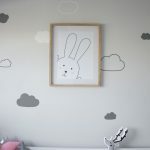 Last week I teamed up with Gumtree to FINALLY get around to adding a new item to our house. 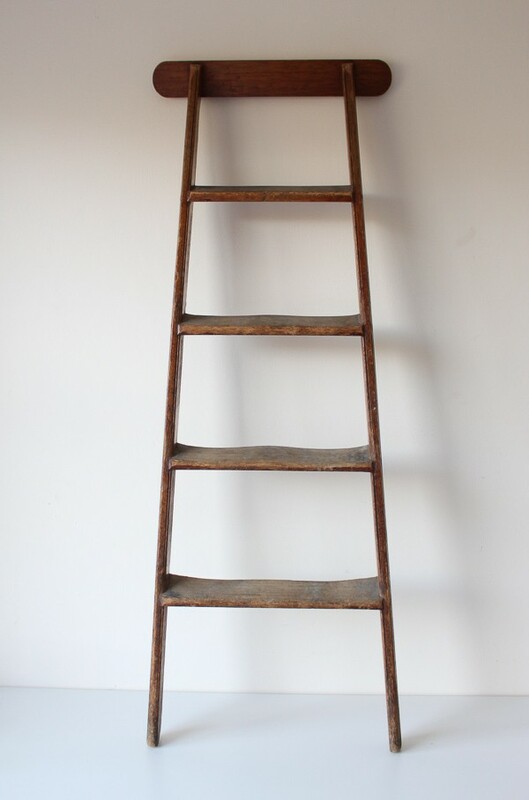 I found a gorgeous old ladder on the Gumtree Mobile App and gave you all the chance to give your suggestions for a ladder upcycle project. Your ideas were AH-MAY-ZING! 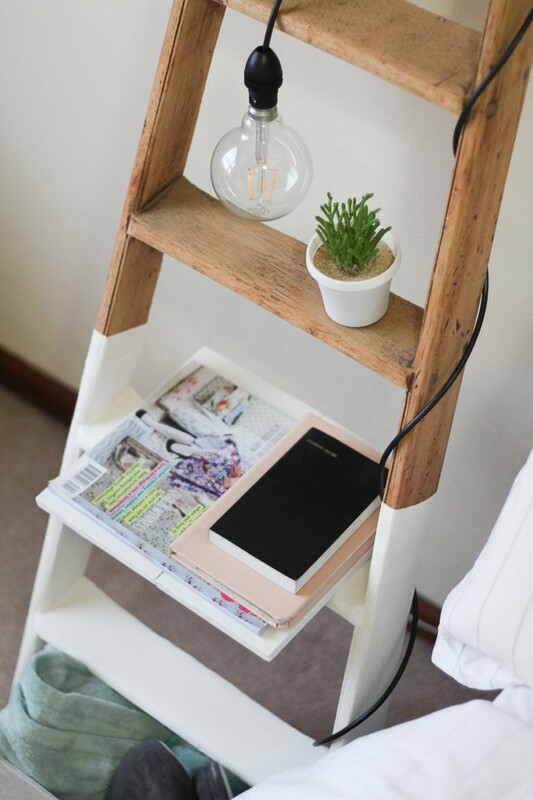 While a ladder upcycle can clearly be done in so many ways around the house (besides, you know, reaching things that are too high), I decided I really needed a new bedside “table”. Sand down the ladder well. 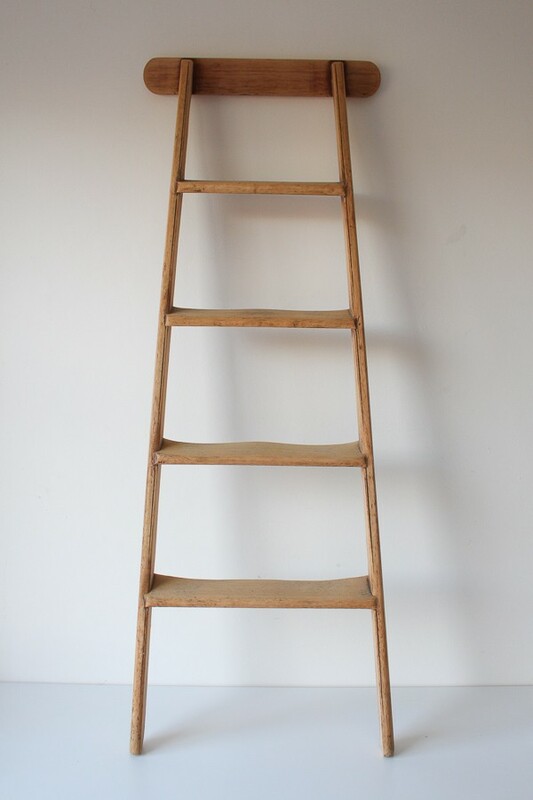 I had planned to paint the whole ladder white, but after seeing the lovely wood colour underneath, I decided to make it two-tone. 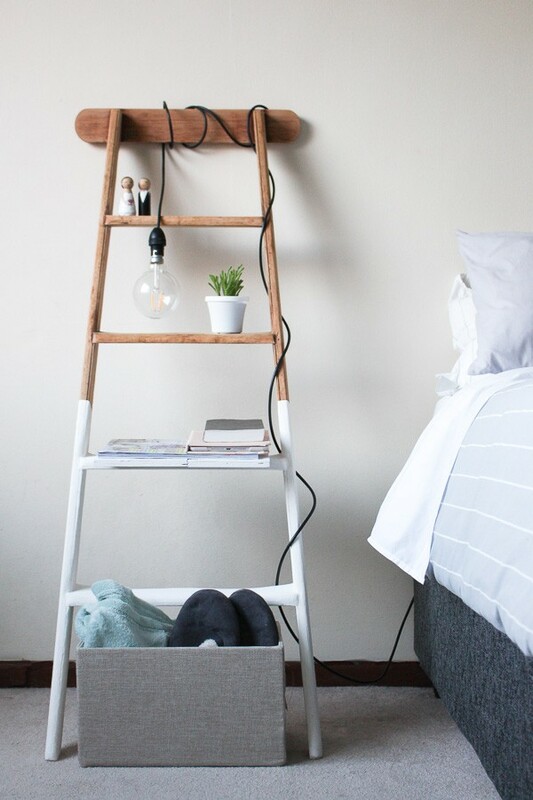 Use masking tape to make a neat line about half way up the ladder, on either side. Paint two layers of paint, removing the masking tape once the paint is dry. 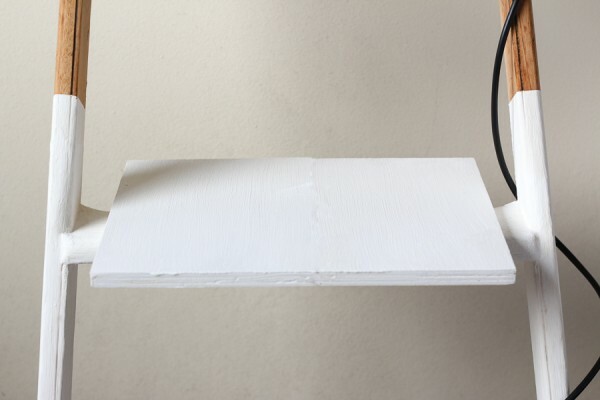 To add a shelf, use a piece of plywood, cut to size, and paint it white too. 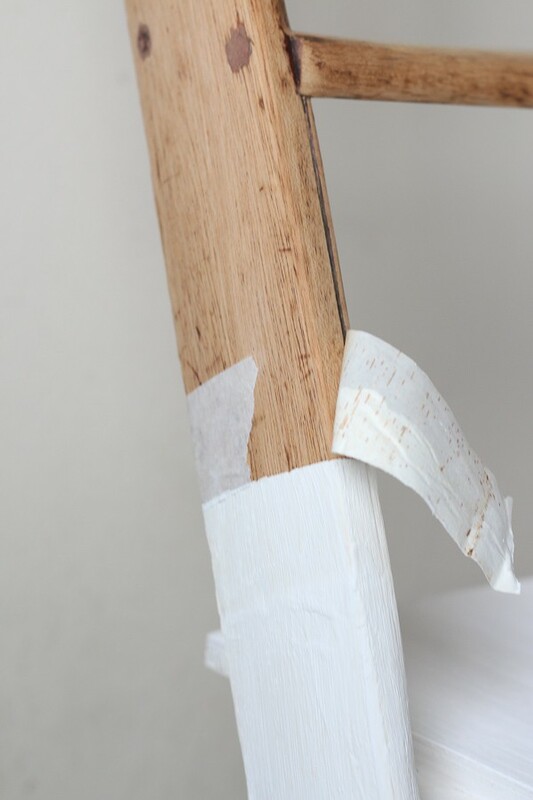 Using a strong wood glue, attach the shelf to the ladder. You could also use screws, however we did not need them. 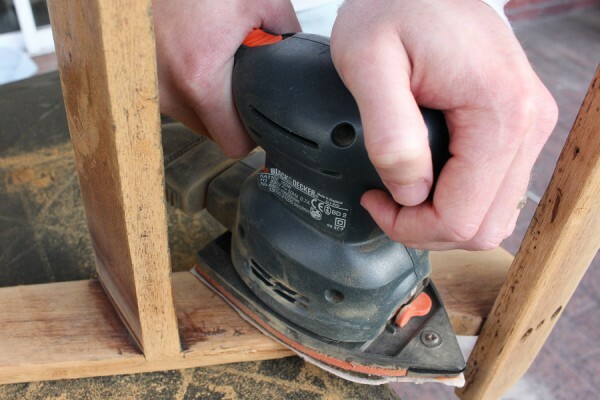 You can add a little extra storage space by placing a matching box underneath the bottom rung. 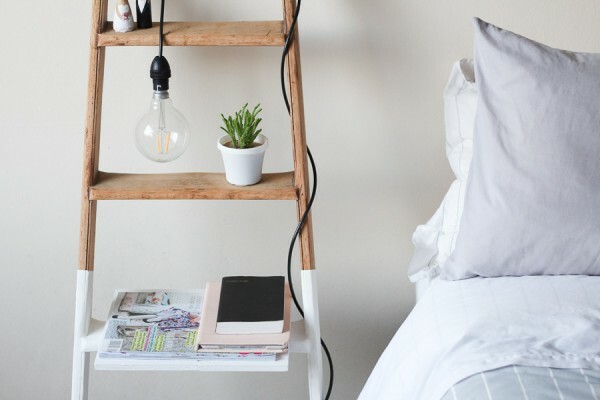 It’s the perfect place to hide your cellphone charger in amongst your slippers and a blanket. 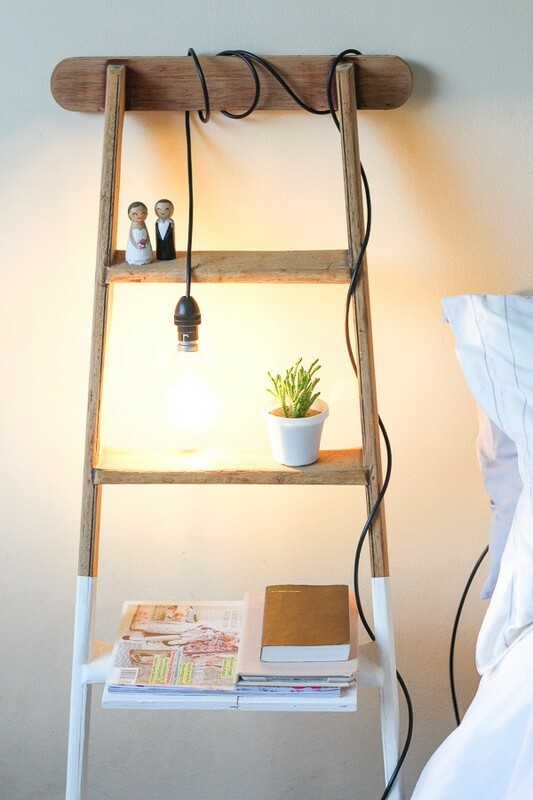 The DIY for this light will be coming soon, so keep your eyes on the blog! 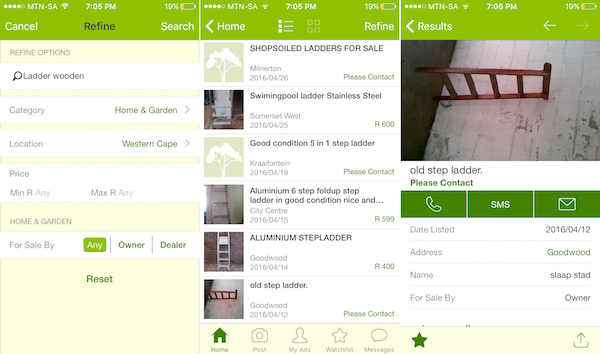 Using the Gumtree Mobile App is really simply. You can search for any item you’d like, choose your category, search in as broad an area as you want and set your budget. Once you’ve found an item that you’d like, you can easily contact the seller from within the app. Being able to search for a hard-to-find item from the comfort of my own home is a serious bonus! I’d love to see your Pure Sweet Joy and Gumtree DIYs. 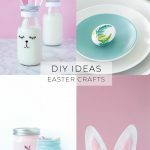 Show me on Instagram using #puresweetjoyblog or email me at deborah [at] puresweetjoy [dot] com. Like what you see here? 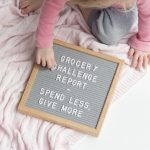 Follow along on Facebook, Twitter or Bloglovin or subscribe to the newsletter for exclusive access to the latest news and freebies. 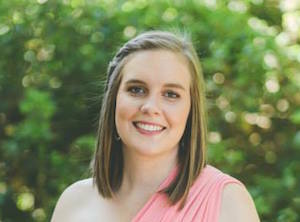 This post was created in partnership with Gumtree. All views and words are 100% my own. Thank you for supporting the brands that allow Pure Sweet Joy to keep bringing you new content.